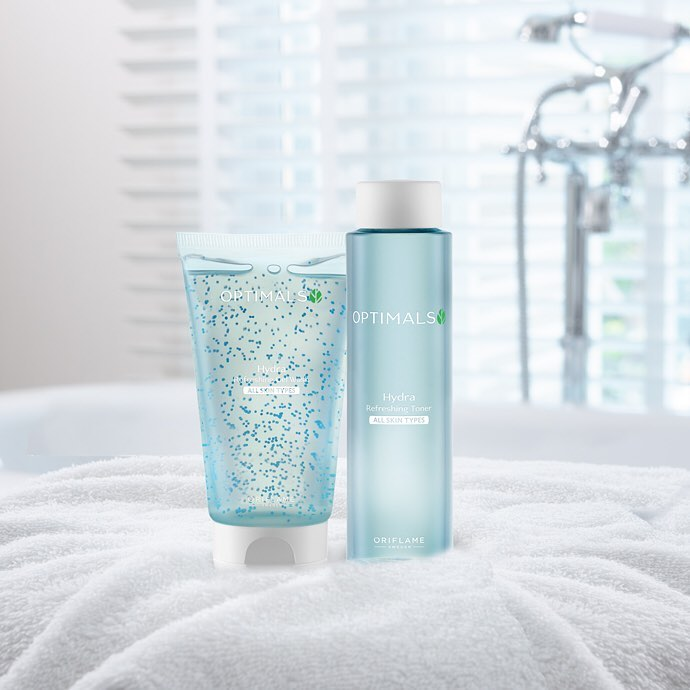 The new Optimals Hydra has been formulated with unique blends of Swedish natural ingredients in blends customised to help hydrate and replenish the needs of every skin type. 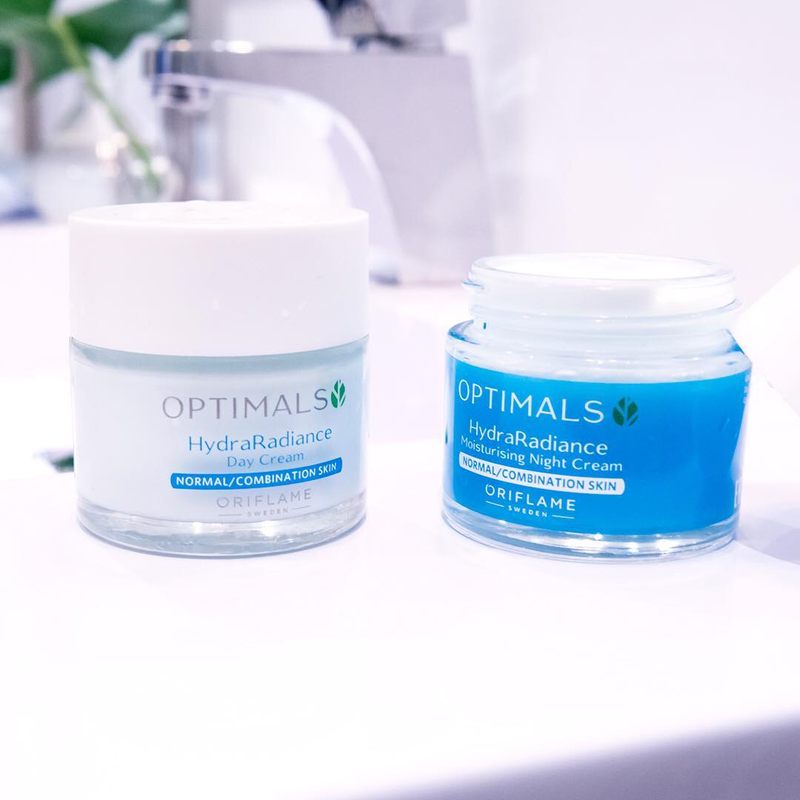 In addition to skin-beautifying Swedish natural ingredient blends, the Optimals Hydra range also features skin conditioning vitamins and Anti-pollution Active, which helps to protect the skin against ageing environmental aggressors such as pollution, by physically shielding like a second skin. HYDRA RADIANCE Red Algae helps to revive dehydrated skin, holding on to moisture. Brown Algae contains mineral components such as calcium, potassium and magnesium, which help to replenish the skin. AquaMinerals is a complex of minerals found in the sea that helps to nourish, hydrate and protect the skin. HYDRA CARE Heather contains ursolic acid, which is able to calm and comfort the skin, and flavonoids, known for their antioxidant protection. Sweet Chestnut contains antioxidants, which help protect against free radical damage, plus minerals and vitamins, which help nourish the skin. Oriflame Optimals Hydra lines contain combinations of Swedish natural ingredients and active moisturizing ingredients. Give a refreshing boost to your skin. Enhanced by nature and empowered by science, the hydrating formulas of the Hydra line contain a combination of Swedish natural ingredients and active moisturizing ingredients. 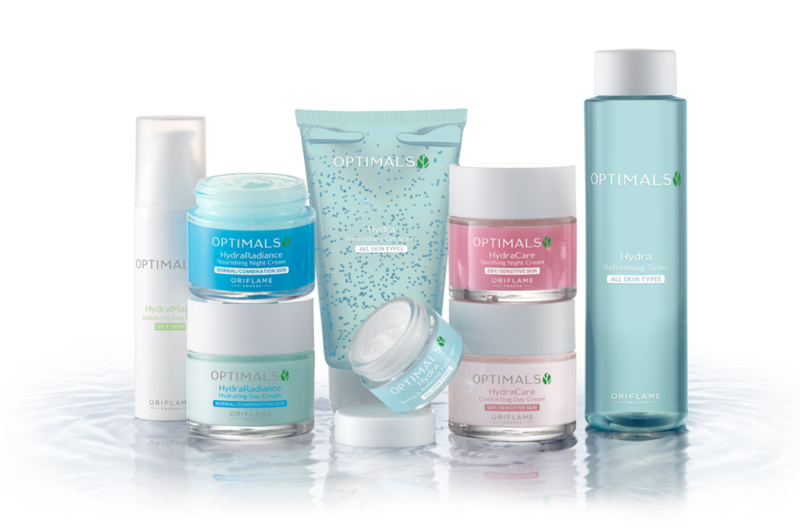 Specifically formulated to moisturize and nourish all skin types, Hydra Optimals products provide a healthy, refreshed and radiant complexion. Dilated pores and / or pimples. Matifying and Balancing Day Fluid for Oily Skin. Dehydrated areas and other areas with brightness and dilated pores. Nourishing Evening Cream for Normal to Combination Skin. Red algae to revitalize dehydrated skin, retaining hydration. Feeling of pulled or pruritus skin. Smoothing Night Cream for Dry / Sensitive Skin. Vitamin E to protect the skin from damage caused by free radicals. What makes Hydra a unique line? All Hydra Optimals products contain a combination of natural Swedish ingredients. Together, they work to improve skin hydration, stimulate its luminosity, invigorate complexion, balance glow, maintain balanced hydration levels, and refresh and smooth skin. 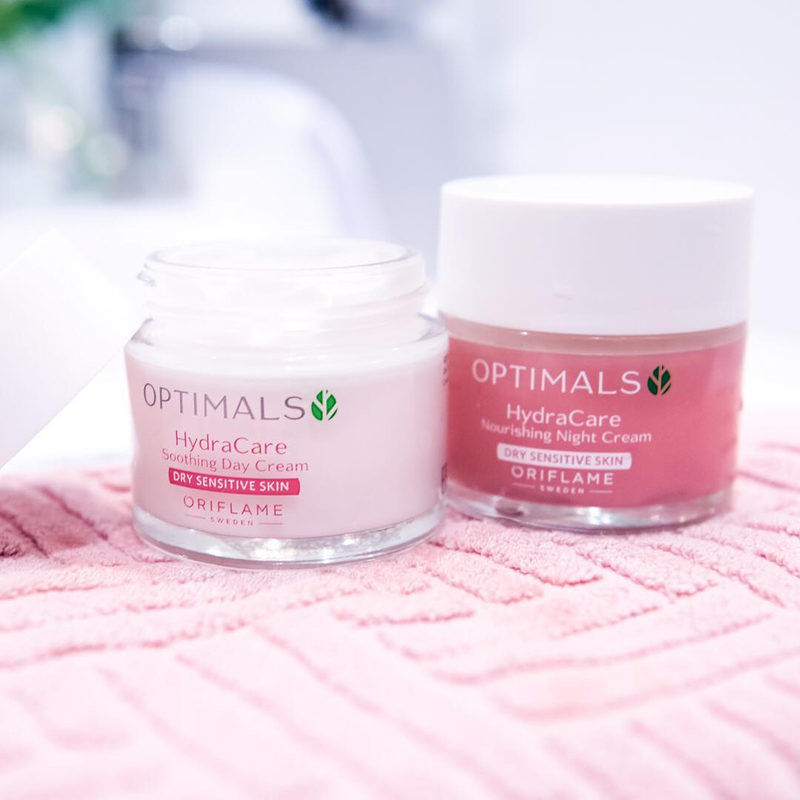 Hydra Optimals includes three distinct lines of moisturizing face care , so that everyone can find the solution best suited for their skin needs. Here you will find lines for normal / mixed skin, dry / sensitive skin and oily skin. Regardless of your age, your skin needs moisturizing. Thus, we have created three Hydra Optimals lines, suitable for all ages. The Hydra Optimals line for normal / mixed skin is composed of day cream and night cream, to moisturize the skin. Day Cream balances brightness, protects skin from environmental aggressions, improves and maintains skin hydration and improves its luminosity. Night cream improves skin hydration, refreshes and softens it during the rest period. Chestnut Algae – contain mineral components, such as calcium, potassium and magnesium, which help nourish the skin. Red Algae – help revitalize dehydrated skin, retaining hydration. A moisturizing day cream that leaves skin soft and refreshed. With a combination of Swedish natural ingredients, Minerals, Vitamin C and antioxidant action. Normal / mixed skin. Dermatologically tested. 50 ml. A nourishing evening cream that leaves the skin refreshed and revitalized. With a combination of natural Swedish ingredients, it includes Minerals to moisturize the skin and Vitamin E. Dermatologically tested. Normal to mixed skin. 50 ml. The Hydra Optimals line for dry / sensitive skin is composed of day cream and night cream, and provides comfort to the skin. Day Cream protects the skin from environmental aggressions, improves its luminosity, hydrates it intensely, and softens and soothes the skin. The night cream strengthens the skin barrier during the rest period, intensely moisturizes, soothes and soothes the skin. Heather – contains ursolic acid, which helps soothe the skin, and flavonols, with antioxidant qualities. Sweet chestnut – contains antioxidants that help protect the skin from damage caused by free radicals, and minerals and vitamins to help nourish the skin. A deeply moisturizing cream that leaves dry, sensitive skin refreshed, soft and soothing. With a combination of Swedish natural ingredients, Vitamin B3 and antioxidant action. Dermatologically tested. 50 ml. An intensely moisturizing night cream that leaves skin dry and sensitive, soft, nourished and appeased. With a combination of Swedish natural ingredients and Vitamin E. Dermatologically tested. 50 ml. 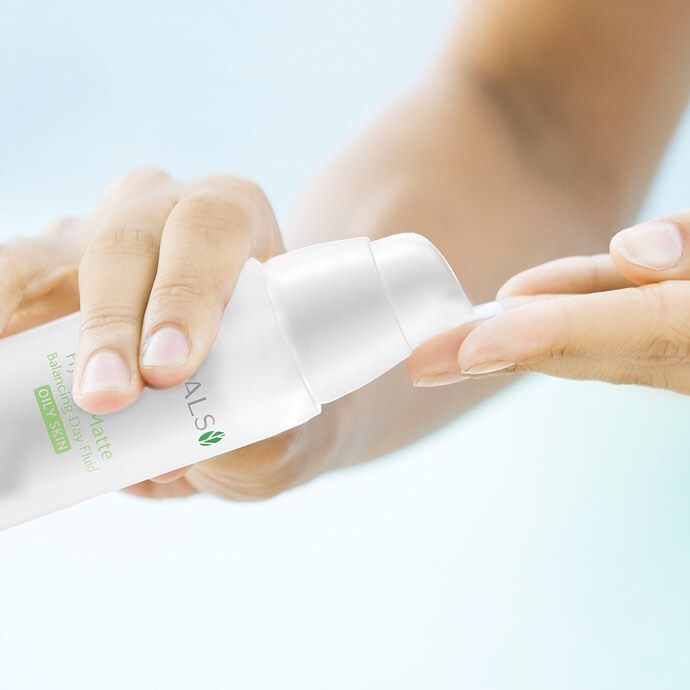 The Hydra Optimals line for oily skin is composed of a day fluid that imparts a refreshing sensation to the skin, as well as moisturizing, smoothing and moisturizing the skin, to minimize the appearance of the pores. In addition, it prevents and reduces oiliness. Extract of White Willow – promotes healthy pores and has a gentle exfoliating action, promoting a smoother complexion and more refined pores. White Nettle – with recognized antioxidant and softening action, it helps to protect oily and acne-prone skin. A light and nourishing day fluid for oily skin, which moisturizes, reduces and prevents oiliness and minimizes the appearance of pores. With a combination of Swedish natural ingredients, Vitamin B5 and antioxidant action. Dermatologically tested. 50 ml. Each Hydra Optimals line has other products suitable for all skin types, including a gel cleanser, a refreshing tonic, an eye cream and a serum. A soap-free cleansing gel, which removes excess oil and impurities, removes make-up and unclogs the pores. With a combination of Swedish natural ingredients and Almond Oil Granules for a radiant complexion. 150 ml. Refreshing alcohol-free tonic that removes traces of impurities, make-up and dead skin cells. With a combination of natural Swedish ingredients to tone the pores and Vitamin C to lighten the complexion. 200 ml. Apply cleaning on wet face, morning and evening. Massage and remove with water. Apply the tonic on a cotton disc and pass over the face. Apply the eye cream, with gentle touches in the area of ​​the orbital bone.